Now we all know Botox for being a cosmetic drug that helps people defy signs of age. Developments in the world of medicine indicate that there is more to Botox than aesthetic use. The drug which in medical terms is referred to as a toxin has recently made news for different reasons. Doctors in the UK now say that this famous anti-wrinkle treatment can actually help calm the nerves that trigger irregular heartbeats. In case you did not know, Botox works by controlling muscle movement, and in effect sort of paralyses nerves and muscles. Although this drug’s major side effect is actual paralyses, scientists have come up with a way to go around this by delivering small, diluted doses and this has been working well in controlling uncontrolled blinking which is also known as blepharospasm and lazy eye, known in medical terms such as ‘strabismus’. The calming drug is now proving to be useful in providing relief from an erratic heartbeat. As we explained, the drug calms the nerves and it therefore shouldn’t come as a surprise that scientists would find it useful in regulating a person’s heartbeat. Most people don’t know that irregular heartbeats affect 10% of persons aged above 80 and the drug has proved to be quite effective in treating atrial fibrillation, the major irregular heartbeat condition. This is a condition that is quite common with age and in the UK about half a million people are said to suffer from atrial fibrillation. The condition has various causes and these include age, which is evident as one in every 10 people aged 80 and above suffers from the condition. Besides age, the heart’s natural pacemaker may also not function as it should: this could bring about a faulty heart rhythm. Faulty nerve signals could also be the reason why your heartbeat is irregular: this occurs when mixed signals are sent. Another major reason for an irregular heartbeat is inadequate blood circulation being pumped in the body. Drug use could also lead to the condition. 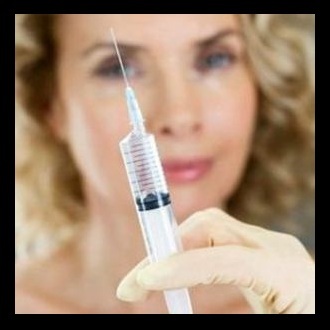 Botox is said to work to reduce the palpitation as the drug stops nerve and muscle signals. The drug basically works in the same way it works with cosmetic procedures where it deactivates muscle signals in the mouth, eye, forehead and other areas to prevent wrinkling. When it comes to the heart, the drug is injected in the fatty tissues around the heart so as to prevent nerve signals from producing faulty heart rhythms. While this treatment is yet to be fully in effect, it will be interesting to see how well the medical fraternity will accept the new development. Researchers say that the treatment is viable and can help prevent the heart chambers from contracting in an unnatural rhythm.